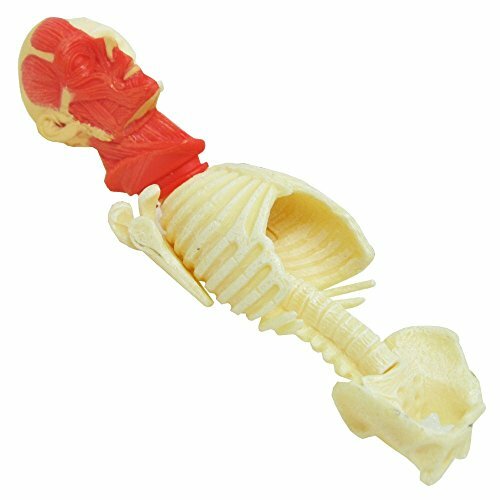 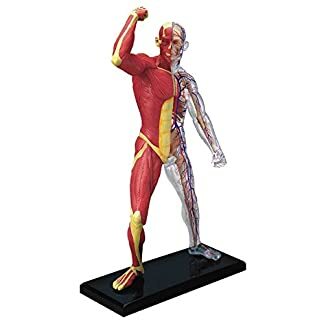 4D-Vision human muscle and skeleton anatomy model.-Learn all about the muscles of the body with this 4 dimensional model.-7.2” Model contains 46 detachable parts and display stand.-Collect the series – great gifts for education or physicians.-Hand painted parts are medical education quality.-Ages: 8 – 15 years. 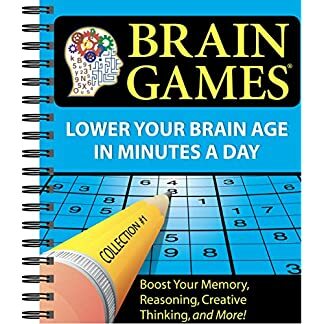 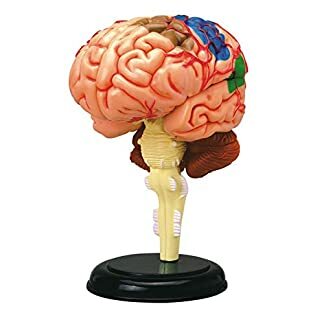 Includes: -Also includes Illustrated assembly guide and description of the anatomy along with some fun Q and A to test your knowledge. Assembly Instructions: -Assembly required. 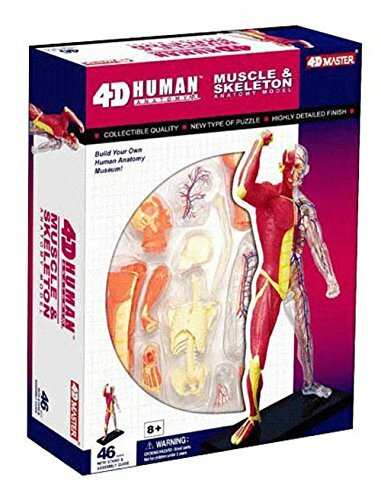 Kids will love learning about the human muscles and skeleton with this awesome 4-D model kit. 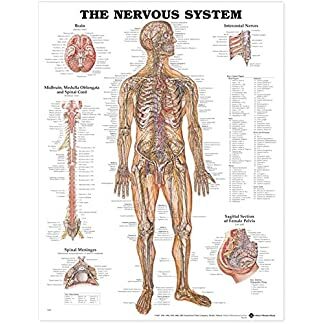 This human anatomy model is an exceptionally detailed 7″ model with 46 parts and display stand. 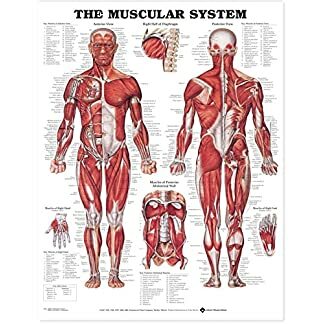 It also includes an illustrated assembly guide with anatomy descriptions of the anatomy along with some fun and educational Q and A to test your knowledge.